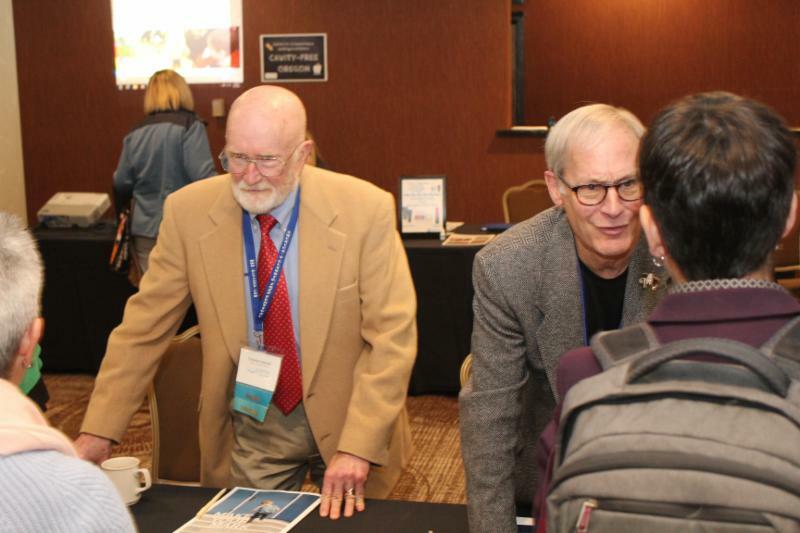 The Oregon Oral Health Coalition’s (OrOHC) 13th Annual Fall Conference, Conversations for Change: Catalysts in Innovation and Integration, was held at the Hilton DoubleTree Hotel (Lloyd Center) in Portland, Oregon, on Thursday & Friday, November 1-2, 2018. It included 3 conference tracks, 29 speakers, 24 sessions, two panel discussions, one live podcast, and a robust evening reception. The conference featured an impressive list of presenters. Click HERE to review the Program, Conference Schedule, and detailed information on Presenters and Sessions. At OrOHC's 2018 conference, we introduced MENTION THE MOUTH. It’s simple. Oral health is the key to whole body health throughout the lifespan. “Mention the Mouth” will amplify the voice of the oral health transformation movement. Because a healthy mouth is the gateway to living a full life, building a strong community and creating an equitable world. Together we promised to always mention the mouth - in board meetings, in advocacy meetings, at doctor's appointments, at grass roots events... because the first step toward oral health integration is to make sure oral health is a part of the conversation. OrOHC's Thursday evening reception hosted a book signing featuring Mary Otto, author of Teeth: The Story of Beauty, Inequality, and the Struggle for Oral Health in America , as well as local oral health coalition highlights and an award ceremony to honor our illustrious oral health champions! Gita Yitta, DMD; Laura McKeane, EFDA. 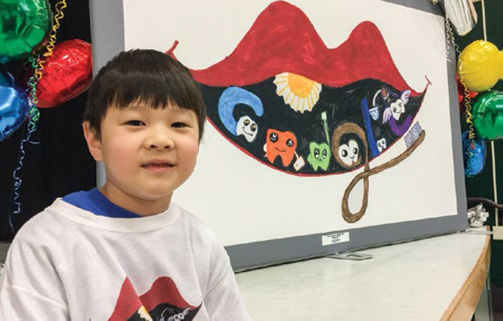 Joining us remotely, Christopher was Oregon’s first-place winner and one of only five national finalists in Google’sDoodle 4 Google competition for K-12 students. The competition’s theme was “What Inspires Me?” Christopher was inspired by his excitement to lose his baby teeth and have his adult teeth grow in their place. For his extraordinary creativity, we proudly named Christopher as the first recipient of OrOHC’s “Oral Health Visionary” award. Also at the reception, our special guest, Senator Elizabeth Steiner Hayward , joined us to share her unique perspective as a legislator, physician and oral health champion. THANK YOU to our COMMITTED PARTNERS! 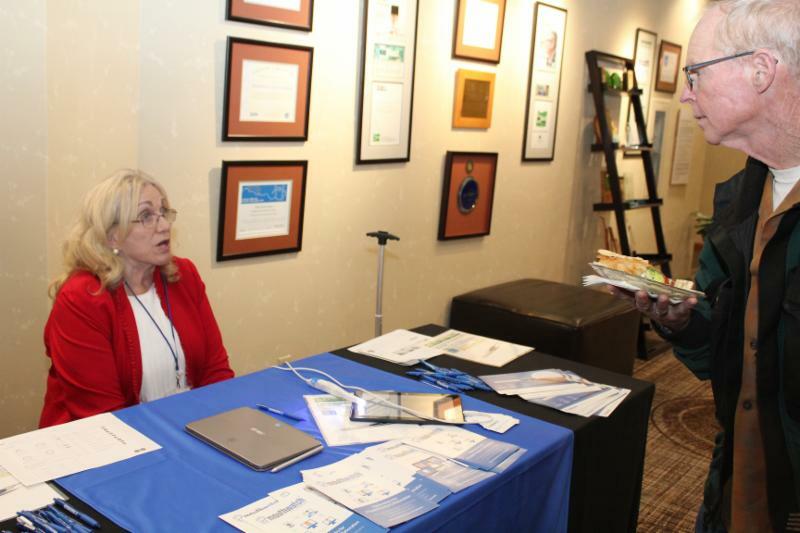 Thanks to the support of our distinguished partners, we were able to welcome a large number of diverse attendees from across the state and professional sectors, and provide limited scholarships to students and community health workers. 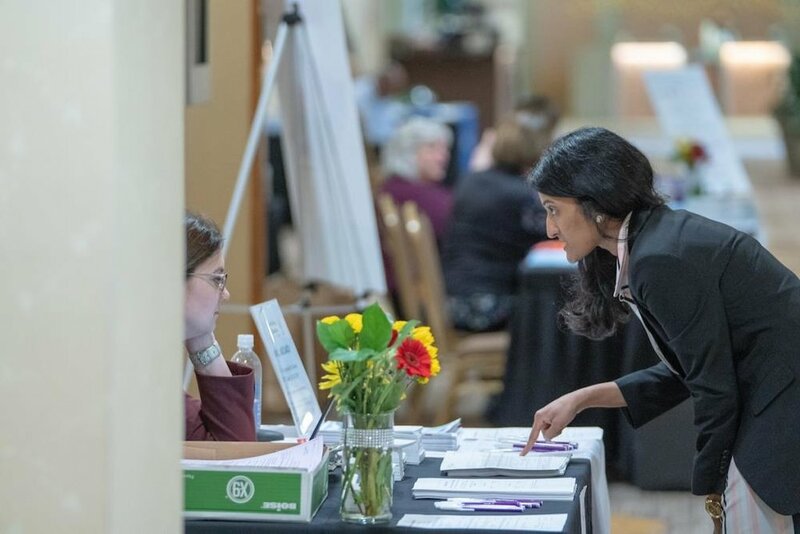 Their partnership also made it possible for dental and medical professionals, health policymakers, and advocates to come together to share cutting-edge ideas and tools for health care transformation. OrOHC’s strategic goals will reflect the investment they have made in our organization to move the oral health agenda forward; 2019 is a pivotal year and our alliance with them is going to have an impact on the work we’re doing to advance oral health integration, advocate for closing the health equity gap, and provide innovative leadership to community initiatives and local coalitions across the state. This robust and enriching event could not have happened without our dedicated volunteers. THANKS also to Ben Blair Photography, Brandan Kearney Graphic Design, Photoraphic Services, and the Portland DoubleTree Hotel for their special considerations.